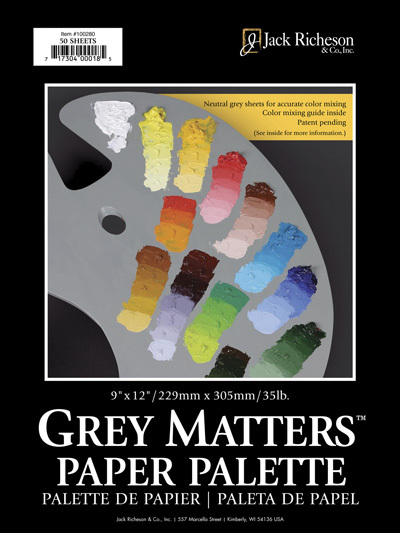 The Jack Richeson Grey Matters Paper Palette offers a unique, disposable solution to help artists working on a toned surface be able to see how the colors will appear on neutral surfaces before applying them to the painting. 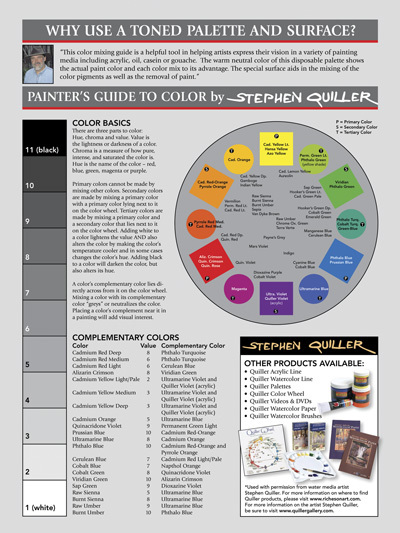 The paper is suitable for oils, casein, acrylics and alkyds, and each pad includes a color mixing reference guide inside the front cover. The Grey Matters Palette is acid free palette paper toned in a neutral grey. Available in 9x12 or 12x16.